Analyze search results: This tool provides a visual analysis of your search results broken up into seven categories (year, source, author, affiliation, country or territory, document type and subject area). Use these charts to gain a different perspective and understanding of your results. For example, the “Year” chart can help you quickly identify the most prolific authors in your research topic. Refine results panel: To the left of your results list you will find parameters that you can limit your search results by, or exclude from your results. For example, you could limit your results to documents that include “Solar Power Generation” as a keyword. TIP: Before you go ahead and select the term, open the preview window (click on the arrow to the right of the number) to get an idea of what type of results this will produce. 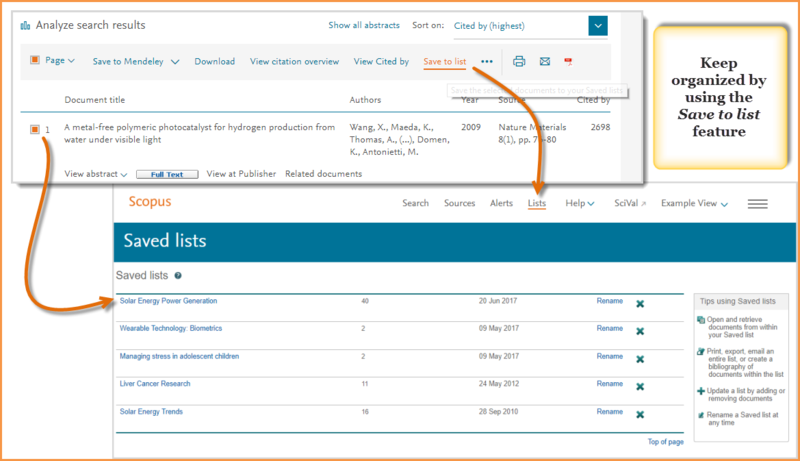 BONUS: Once you’ve refined your results, save your search and create an alert to continue to be updated when new material matching your query becomes available. Do you want to find the most highly cited documents, the newest material, or something else? Use Sort on to organize your results by the criteria that matters most to you. Click View abstract (or click on Show all abstracts to open the abstracts for all of your results) to see and read the abstract. Can you get to the full text? 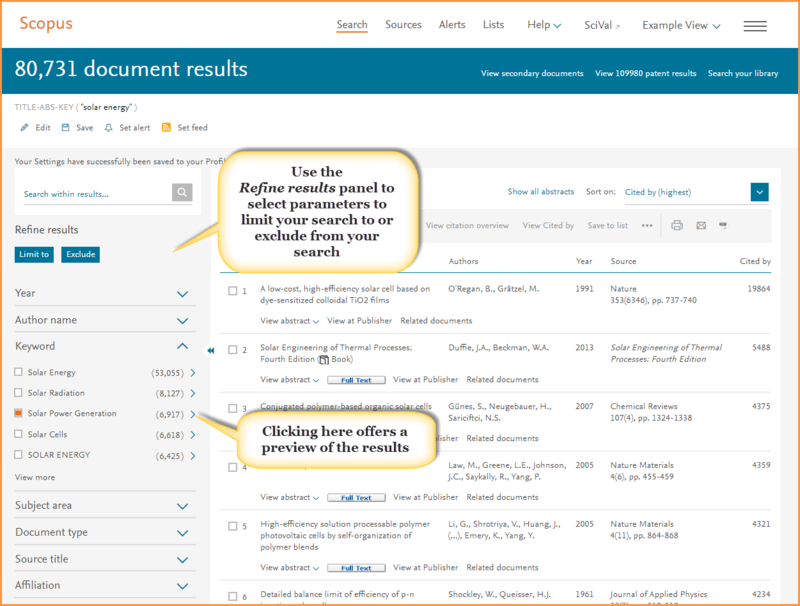 Scopus is an abstract and indexing database which works with your institution to provide links to the full-text content your institution subscribes to — across multiple publishers. If your institution has access to the full-text article, you should find a button that will link you to the article. In addition to articles accessible from your institution's subscription, look for articles flagged as open access. These are documents published in open access titles which you can also access. As you find documents that you want to save and come back to, make sure you mark them by clicking on the box to the left of the title. Then, once ready, click on “Save to list”. This prevents you from losing your work and the progress you have made. You can name your list, or if you are registered and logged in, select from a list you have already named and saved. From your saved lists, you can also use tools to both further analyze your results, such as looking at documents that have cited your selections, or going back to view the references from your selections. 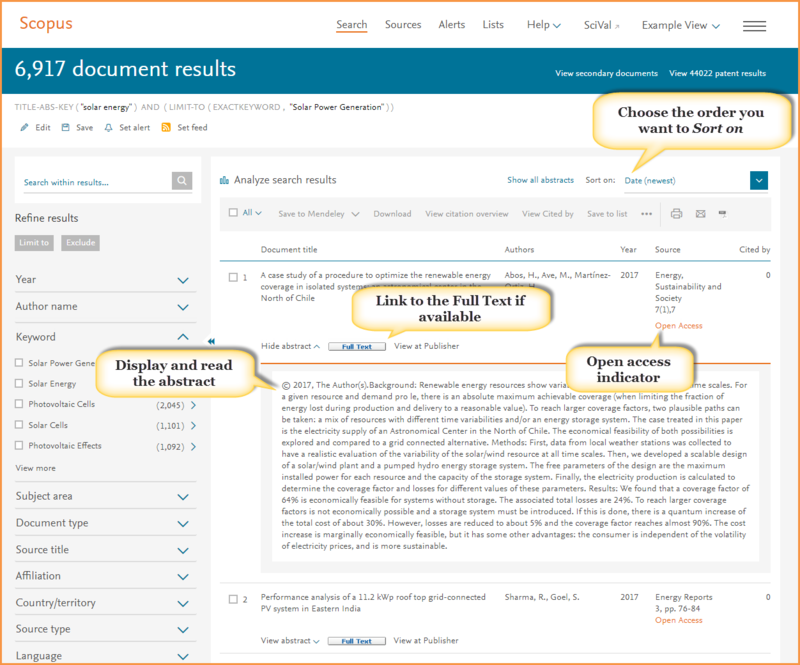 These tips should help you get a good start on searching, refining and organizing your research on Scopus, but if you need help along the way find more support material on the Scopus Support Center. 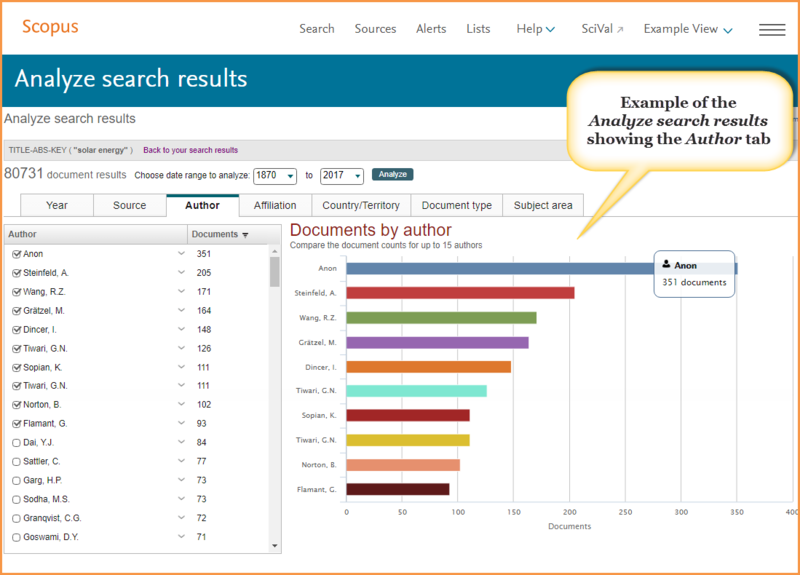 Although you don’t have to be a Search wizard to easily find content in Scopus, taking some time to understand how to better construct a search can help set you up to get better results from the onset. 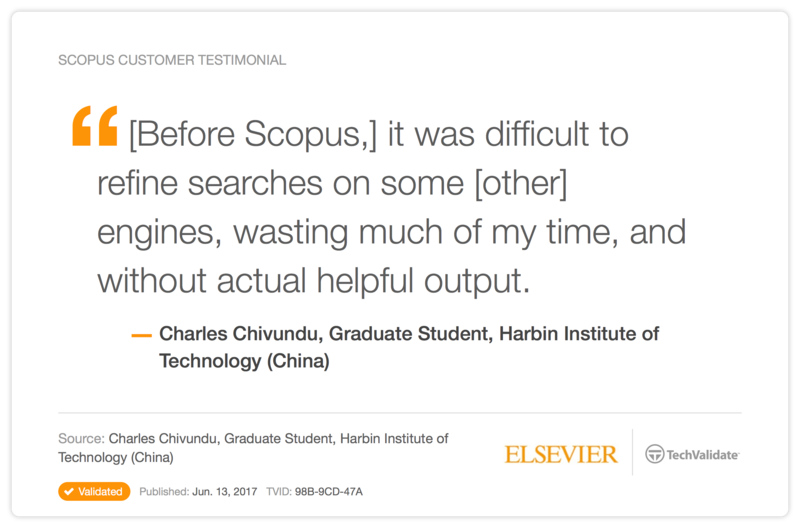 If you want to learn all about searching Scopus, I recommend starting by watching this webinar hosted by the search expert from the Scopus team (note, the look and feel of Scopus has changed, but the principles work the same).